1. Which are the months that have the lowest flight fare to Singapore? The cheapest months to that have the lowest Delhi to Singapore flight fares are March to May. 2. Which is the best month to travel to Singapore? July is the best month to travel to Singapore as it has good weather. 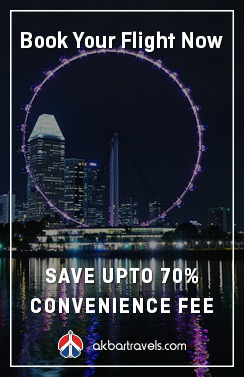 It is also the month that hosts the Great Singapore Sale as well as the Singapore Food Festival. 3. How far is the city centre from the Singapore airport? The airport is located at a distance of 18 km from the city centre. 4. How to reach the city centre from the airport? The city of Singapore is connected with the airport via taxis, public buses, and the Mass Rapid Transit. 5. What is the currency of Singapore? What is the conversion rate? The currency used in Singapore is Singapore Dollar (SGD). 1 SGD is approximately valued at 48 Rs. 6. What is the time difference between India and Singapore? The time difference between Singapore and India is 1 hours and 30 minutes. 1. What are the airline brands that offer Delhi to Singapore flights? A:The airline brands that offer Delhi to Singapore flights include Singapore Airlines, Vistara, Jet Airways, Indigo, Air India and Malindo Air. 2. How many Delhi to Singapore flights are there every day? A:There are 210 Delhi to Singapore flights every day. 3. Which is the earliest Delhi to Singapore flight? 4. Which is the lates Delhi to Singapore flight? 5. What are the airport codes of Delhi and Singapore? A:The airport code of Delhi is DEL and Singapore is SIN respectively. 6. What is the name of the airport in Delhi? A:The name of the international airport in Delhi isnamed as Indira Gandhi International Airport. 7. What is the name of the airport in Singapore? A:The name of the primary airport in Singapore isChangi Airport. Singapore’s national anthem in microtext on the back of the $1000 note: If you are lucky to get your hands on this note, if you turn it around, you can spot the lyrics to the national anthem. Singapore is one of three city-states in the world: Apart from Singapore, there are two other city states in world, which include Monaco and the Vatican City. Singapore is part of a large archipelago: While it is a single large island, the nation of Singapore includes 63 other tiny islands which are uninhabited.